Which Hogwarts House would Sho have been sorted to? Sho was easy to sort for me. While my first thought was to stick him in Ravenclaw because he's very knowledgeable about a lot of things, my final vote goes to Slytherin. He definitely has ambition in droves, and leadership skills too. Plus, he also comes from a prestigious family, so I feel like Slytherin is a good fit for him. Which House do you think he'd be in? Re: Which Hogwarts House would Sho have been sorted to? So this was a hard one for me. He's really ambitious so Slytherin isn't a bad fit, but overall, I think he's one of the most courageous members so I went with Gryffindor. I do think he is a Ravenclaw qualified for his intellect and rules-abiding freak, but he is also courageous and adventurous. Like Hermione, I'd like to put him into Gryffindor. To be honest this was a easy one for me. In my option Sho belongs to Slytherin. He is undeniably intelligent but he is also sly and he has ambitions. I'd sort him into Hufflepuff. He's very smart and quite ambitious, but even more than that I see him as hard-working and kind. 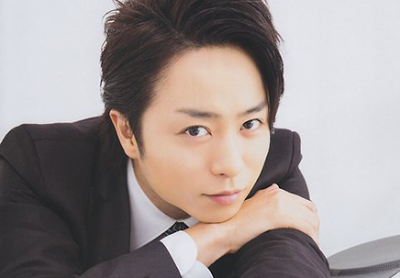 He's also really concerned about harmony (just like Aiba [an even more obvious Hufflepuff], when there is tension between people or the atmosphere is bad for whatever reason, he's the first one to try to diffuse it), his disposition is quite mellow and he's also very patient with people (like Aiba). You won't see him snapping at guests, being rude even for laughs or teasing anyone. He puts people at ease with his good manners and consideration. So yeah, overall I'd put him into Hufflepuff with Ravenclaw as a secondary house.